Locomizer teams up with HERE Maps for global access to HERE 2D Footprints and HERE Places, a database of points of interests (POI). Please see below the official press release for more details (Link). This partnership allows Locomizer to tap into global database of points of interests, which is being constantly updated for newly created and going out of business venues on an international scale. In cooking it is important to have your ingredients fresh, and likewise in our geo-behavioural analysis, POI database needs to be “fresh” in order to provide powerful consumer insights to our customers. HERE Maps expertise in geographic information system (GIS) and mapping is one of the best in the industry and we are very excited to work together with them. Amsterdam and London – When advertising targets the right audience at the right time, it benefits both advertisers and consumers. That’s the aim of a new partnership between Locomizer and HERE Technologies that combines the power of location data and audience segments to bring more targeted insights and ROI to marketers and brands. Locomizer matches consumers to locations to help retailers, real estate companies, brands and other advertisers better understand consumer groups via advanced algorithms that build segments based not on point store visits, but on historic behavior and long-term affinity patterns. By integrating HERE Places and HERE 2D Footprints into its technology, Locomizer enhances its data science to more precisely identify locations and better determine consumer behavior. HERE Places Extract—the HERE global database of more than 100 million places—further advances Locomizer’s algorithms and helps improved “location history”. HERE continuously updates its places from thousands of different sources and applies machine learning to identify sites and remove inaccurate, irrelevant or duplicate information. HERE 2D Footprint gives the actual shape and size of a building or location to pinpoint dynamic signals in and around a place of interest, to better predict and identify when relevant consumer groups should be targeted. Locomizer services clients in Australia, Finland, Ireland, Japan, Kenya, the Netherlands, South Africa, Russia and the U.K.
analytics to turn raw location data into premium, actionable business insights that match potential customer audiences to real world locations. The patented Audience Discovery Platform reveals behavioral trends and previously unseen relationships between people and places. The data is used by multiple market sectors, including AdTech, Brands, Real Estate and Retail to appraise the strategic decision-making of a location value to maximize ROI and to give competitive advantage. For more information, visit www.locomizer.com. HERE, the Open Location Platform company, enables people, enterprises and cities to harness the power of location. 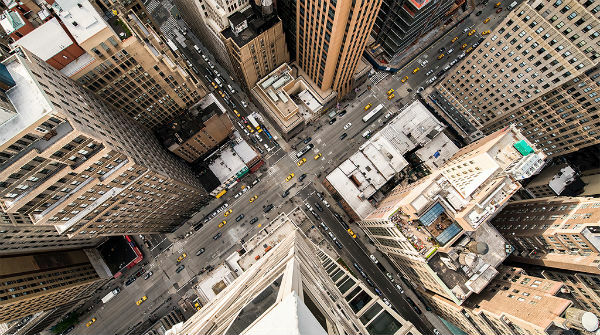 By making sense of the world through the lens of location we empower our customers to achieve better outcomes – from helping a city manage its infrastructure or an enterprise optimize its assets to guiding drivers to their destination safely. To learn more about HERE, including our new generation of cloud-based location platform services, visit http://360.here.com and www.here.com.